Clearly, the burden is on the provider to give care/referral that is the most current, offers the most favourable risk/benefit ratio to the patient and is in the patient’s best interests. Many conditions are far along this path of evidence based, standardized treatment protocols. 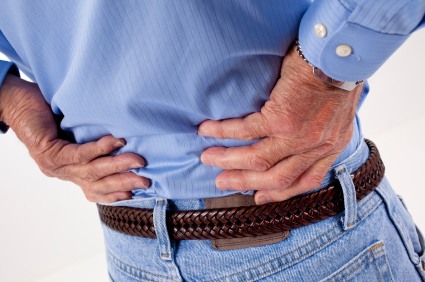 The realm of musculoskeletal conditions (bad backs, necks, chronic joint/soft tissue pain) lags behind terribly. I have seen this area of healthcare described as a “black hole” in medical literature. Most often people come to me for help after they have exhausted all other forms of physical therapy, exercise, drugs, waiting/hoping and even surgery. Usually they are just plain exhausted. Recent evidence suggests and strongly recommends that laser therapy combined with massage should be the first therapy implemented with such conditions. This is what offers the patient the most efficient form of care that gives them the best chance for recovery. 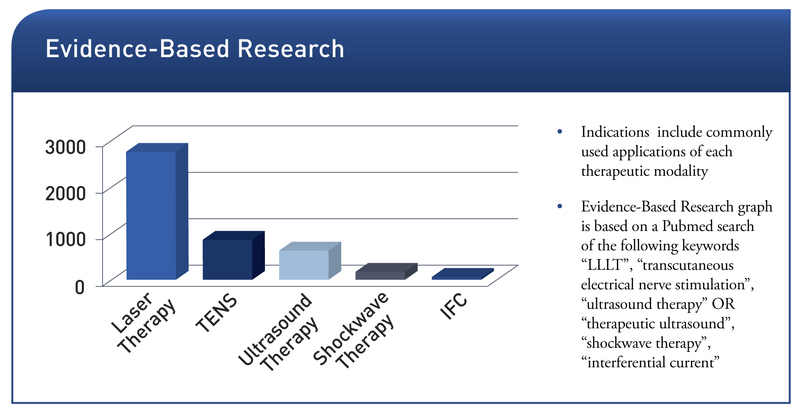 The literature on laser therapy comes from a variety of sources. Academic, controlled clinical and anecdotal case studies. This adds to the breadth and depth of knowledge, but limits well intentioned studies with obvious biases. Many patients I speak with get well intentioned advice from other practitioners based on what they “feel” is best or what they “think” the patient should be doing. One in particular that drives me nuts is the common belief that exercise, especially the use of free weights and stretching, can heal anything. If some doesn’t do the trick, more must be better! No drug, surgery or exercise can do these steps. Pain may be modulated, but healing has not taken place. Yes, there is a difference. Laser therapy has been shown to have a 90% success rate. This means reduction/elimination of pain and inflammation, return to normal activities and discontinuance of pain/anti-inflammation medications. Individual response can vary and there can be a limitation of tissues based on the nature and duration of someone’s condition. My clinical time with the laser has shown me that many can do very well, even if they have been told things are “hopeless”. I work with many seniors, people that have suffered for many years, had the pharmacy pored through them, had surgery and gone through pain clinics. Current evidence suggests laser therapy should be a first line therapy, not a last hope. 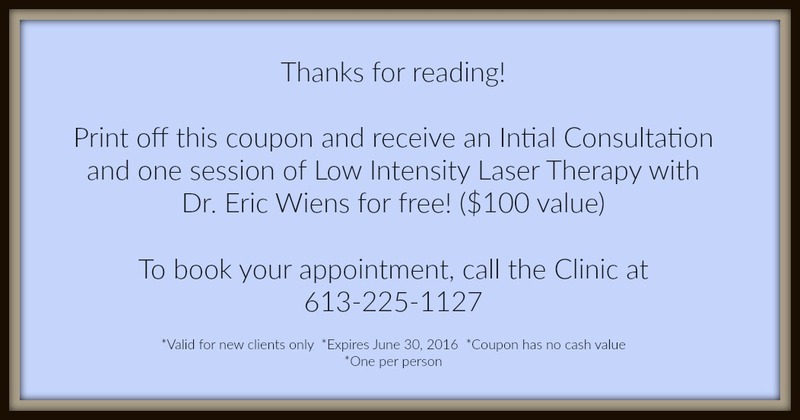 To book an Initial Consultation or Laser Therapy appointment, please call the Clinic at 613-225-1127.